Skin care buffs swear by facial massage to increase circulation and reduce puffiness. We typically only touch our faces to slather something on. But keeping your beautiful mug in tip-top shape starts when the canvas is blank. 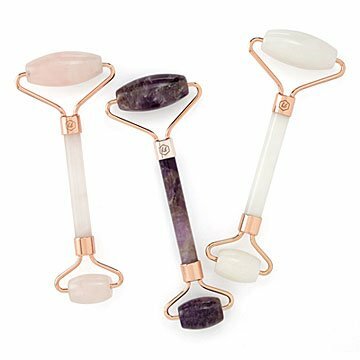 Add this gemstone facial roller to your routine to help it look—and feel—its best. Chinese cultures are believed to have been practicing facial massage for centuries, and now skin care buffs swear by the ritual to increase circulation and reduce puffiness. Plus, these are crafted from jade (harmony), quartz (self-love) or amethyst (positivity), because a little extra positive energy is always a good thing. Made in China.